The families of those we lost last weekend at Pulse nightclub in Orlando will have many needs. Our allies at Equality Florida and The GLBT Community Center of Central Florida are working hard to meet those and we will continue to support their efforts as will many around the country and the world. Nearly half of the LGBT community is nonreligious so let's do something as humanists, atheists, and secularists of any label. The Central Florida Freethought Community (CFFC) is proud to offer our support to the families in a unique way. Your support is requested immediately and this campaign will be increased when needed to support additional requests. All funds not used directly to support the above-listed goals will be donated to Equality Florida and The GLBT Center in equal shares on July 15th, 2016. Guidance and assistance is being provided by the Humanist Society, the Center for Inquiry, the Secular Coalition for America. GoFundMe recommends we answer these questions to assure donors are supporting a legitimate campaign. We are glad to do so and welcome inquiries regarding this fundraiser. 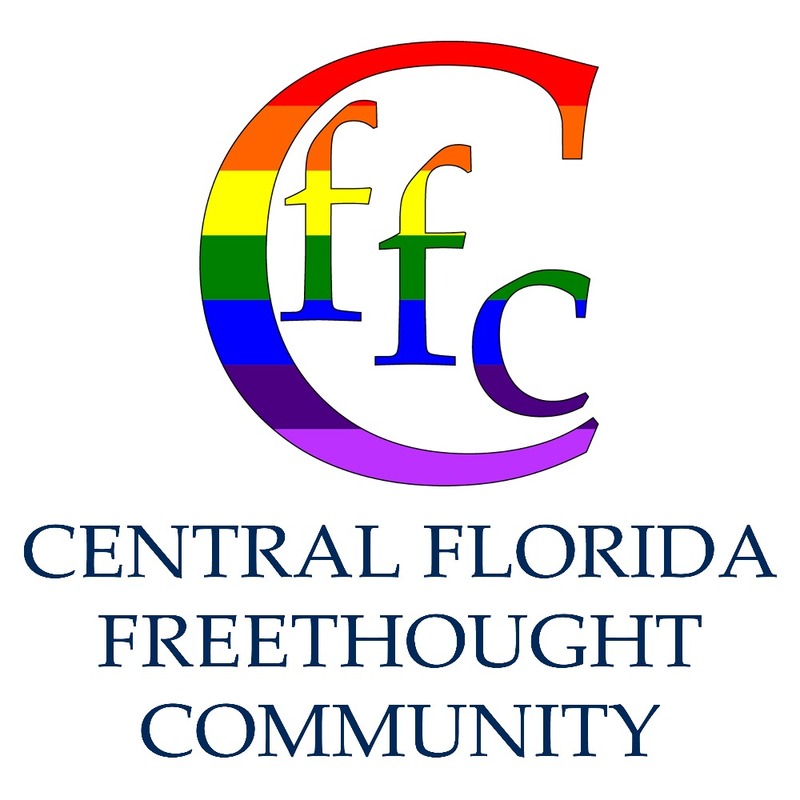 Central Florida Freethought Community (CFFC) is a Florida 501(c)(3) non-profit corporation registered with the IRS. We advocate for separation of state and church as we assist several other local organizations in building a thriving secular community in the Orlando area. All donations are tax-deductable. See our IRS determination letter here and record of 2015 IRS Form 990 filing here. We are secular people, generally atheists, humanists, religious skeptics, and other non-believers in and around the Orlando area. Find out more about us at our website www.cflfreethought.org. Our corporate address is in Orlando, Florida, but our mailing address is in Oviedo, Florida. As allies of the LGBT community, we are in communication with Equality Florida and The GLBT Center of Central Florida regarding our interest in providing this assistance and our intention to donate unused portions of donations received. Celebrants will be expected to donate their time to prepare for and conduct memorial services and will not be reimbursed for their efforts. - Travel associated costs for celebrants who require assistance with airfare, lodging, and meals. - Fees typically associated with a secular memorial services and funeral home fees at a location of the family's choice. - We will provide assistance to families who wish to have their service in other areas of the US. - We can provide only limited assistance for families wishing to have services peformed outside the US. - Donations will not be used for burial or cremation services, burial plots, or head stones. - CFFC assumes that other organizations will cover the costs of travel for service attendees and is extremely grateful to JetBlue Airlines for their support of the families. One final update to thank all our donors. 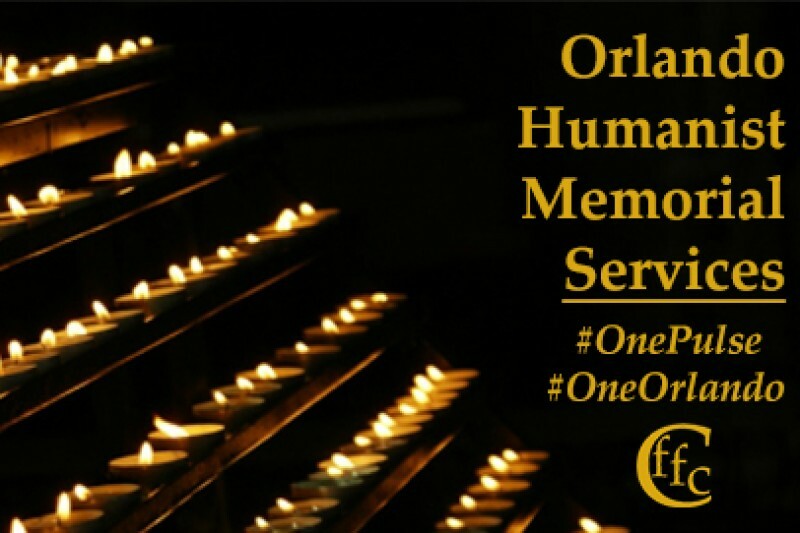 The Central Florida Freethought Community did not receive any requests for assistance from families seeking secular funerals or memorials, but thanks to your generosity and that of so many others we donated $2,000 each to the two organizations who led the response in Orlando for the victims; Equality Florida and The GLBT Center of Central Florida. They were very grateful for our support and for the knowledge that the freethought community found a way to help. A full accounting of the funds raised and their disbursement will be available on our website at www.cflfreethought.org later today. The tragedy in Orlando has brought together so many different people and organizations who sought ways to help. For us, it strengthened our relationship with the LGBTQ community and the organizations that fight for equality and show them our solidarity. Liberty and justice for all is truly a state/church separation fight and one in which we will remain engaged. We've continued to share our interest in helping the families of the victims with local organizations which are providing benefits to families and we hold onto the hope that we will be called on to help a family have a secular celebration of life. Thanks to each and every one of you from those who donated five dollars to those who donated several hundred. All of you have made it possible for us to demonstrate that we, as non-believers, are also showing our love and compassion for our LGBTQ allies and their families. We'll keep you posted here and on our Facebook page with any updates. Once we learn from local media outlets that all memorials have been completed, we will close the fund and donate what you have given to it so generously. It's been 7 days since we first learned there would be at least 20 dead as a result of a shooting at Pulse nightclub. We didn't know much more than that, but we soon learned there would be a total of 49 dead, plus the shooter himself, 53 physically wounded, and an entire community traumatized--all victims of the hate mankind can inflict on itself. In response, the local secular community sought to provide some solace to the families of victims who might prefer to have Humanistic memorial services or secular celebrations of life instead of relying on local churches and clergy members out of habit. As of today, we haven't heard from any families, but we have notified the funeral homes that were mentioned in the news, and those with which we already have relationships. We notified the Orlando Sentinel, all local TV news outlets, and the few Spanish language media contacts we have in Orlando. Equality Florida and the LGBT Chamber of Commerce have shared our offer. No matter whether we are able to help a family directly or not, the Humanist/atheist/secular community has raised an additional $4,000 to add to the funds raised by others. We will keep the fundraiser open and we will remain hopeful that a family calls on us to help. Thanks to all our supporters and those who have shared the campaign. There have been 89 supporters and hundreds more who have shared our campaign on social media. Thanks to you all! We know you are supporting many efforts in many ways and we truly appreciate it. We are holding onto hope that we hear from a family who needs our help. We even have a local Latino member of The Clergy Project who is willing to assist with bilingual services. Regardless, every penny we raise and do not use for services to families will go to the good people at Equality Florida and The GLBT Center. It will be our honor to hand them a check very soon. Please note that GoFundMe requires a person's name for each campaign. I signed up for this campaign, but it is being sponsored by the Central Florida Freethought Community, a 501(c)(3) Florida non-profit which is part of many local organizations building a thriving secular community in the Orlando area, as well as advocating for separation of state and church.